Do you have some swirls or scratches on your car or piece of wood that would require polishing but have no idea on the polishing machine to use and choose from? Well, worry no more. That is why we are here to talk about all things polishing. This article looks at the different types of polishers and goes into detail on how they differ in their use. Before that, it is important to know the different types of polishers and their characteristics. 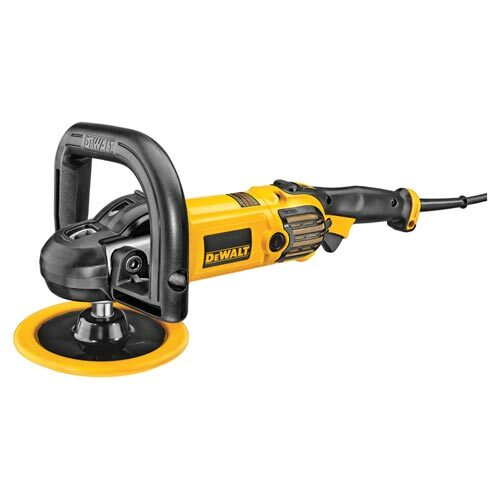 An angle grinder is a tool that is used for grinding, polishing, cutting and sharpening surfaces. Once you have an angle grinder machine, you can purchase different discs that you can keep changing depending on what you intend to do. In this case, we shall talk about an angle grinder in reference to a rotary polisher since they work the same way. When working with polishing tools, there are two main types: rotary and orbital polishing tools. A rotary polishing machine is a tool that uses only one type of motion to create a polishing effect. It works quicker than a Dual Action polisher but requires more experience and knowledge to use well. Most angle grinder used for polishing is rotary tools because they spin clockwise around a center point.On the other hand, orbital polishing tools, also known as Dual Action polishers are characterized by the movement of the head. This kind of polishers spin on a central spindle, where the spindle rotates around an eccentric offset. The best way to visualize this is the earth’s orbit. The earth orbits around the sun, while it spins itself. It is a derivative of angle grinders because they work under the same principle. These kinds of polishers generate heat between the pad and paint, with the heat going towards the outer edge of the pad. The pad diameter is large. This means that it is more aggressive. The smaller the pad size, the less aggressive it will be. Unlike orbital polishers, an angle grinder increases in velocity towards the outer edge of the pad. In addition, when you change the pad size, it has a low impact on the performance and behavior of the tool. When it comes to using these tools, their weight should be considered. Such tools tend to be heavier than a Dual Action Polisher with the heavy duty ones weighing 8 pounds or more. This can be quite a daunting task when using it because the weight is too much to deal with considering you would have to put in a lot of hours into detailing a project. With these tools, the speed ranges from as low as 600rpm to as high as 1000rpm. (Revolutions per Minute). This means that during the final stages of the polishing process if you have paint that is more delicate, you can lightly massage a finishing polish to maximize on the depth, gloss, and clarity. The positioning of the handle can be side mounted stick handles, “D” handles, variable position handles or you can make a choice of not having a handle altogether. On the flip side, an angle grinder is known to strike through and burn through paint because you do not have control of the speed, especially if you are not very experienced. These are faults that do not occur with a Dual Action Polisher. Inexperienced users can also leave their surfaces with swirls or holograms. These normally tend to look like a very fine mist of marks. They often arise due to not letting the polish degrade well enough during the polishing process. In addition, it can be as a result of moving too quickly at a high speed or not using enough polish product. This can be rectified using a Dual Action Polisher. The learning curve of mastering such a tool is long and steep, but it is possible. Unlike the rotary polishers, heat is generated between the pad and the backing plate of the tool. Also, heat goes towards the center of the pad. This makes it user-friendly since very little heat is produced as compared to a rotary polisher. As opposed to rotary polishers, the larger the pad size, the less aggressive it is. The increased resistance on the pad slows the motion of the polisher. Also different from rotary polishers is that changing the pad size has a major impact on the behavior of the tool.The random action of the pad comes from the free rotating spindle assembly, which also causes the pad to stop spinning under heavy pressure. This is a safety mechanism that the rotary polishers do not have. Another safety mechanism of the polisher is the rotating and orbiting of the pad which produces what is known as a “jiggling” motion. This irregular motion helps prevent the polisher from burning through the paint. This is the removal of paint below the clear coat surface. Also, this same feature prevents the Dual Action polisher from removing very deep scratches. Unlike rotary polishers, the speed ranges in oscillations per minute (OPM) not revolutions per minute. With a Dual Action polisher, the potential for paint damage is not impossible, but it is quite unlikely to occur. In addition, the learning curve of mastering the technique of using this tool is short and shallow. That definitely makes it worth a purchase. It is important to think about the reason as to why you would need an angle grinder or polisher in the first place. In addition, it is important to consider the price of the two in order to decide whether to purchase one or the other. The good thing about angle grinder tools is that they are quite versatile. This is because the user can install different wheels, as well as interchange their discs whenever there is a need to. There are many different types of wheel and brush attachment styles in the market. On the other hand, a Dual Action polisher is not that versatile in terms of interchanging the wheels. When it comes to current, craftsmen can make a decision between 110 and 230 volts alternating current (AC) while on the other hand, most wattage ranges from 500 to 1500 watts. The two aspects that go hand in hand with angle grinders and polishers, and affect the comfort of using the tool are the discs weight and size. It is good to note that it is more comfortable to use a smaller unit than it is to use a larger unit. With the details provided above, it is safe to say that Dual Action polisher or Dual Action Random Orbital is one of the best tools for beginners and also professionals. This is not only because it is easy to use or is effective, but also because of the safety features that it comes with that will prevent you from both major and minor accidents. With the great features that it offers, it is important to note that your technique in polishing should go hand-in-hand in order to come up with the best results.